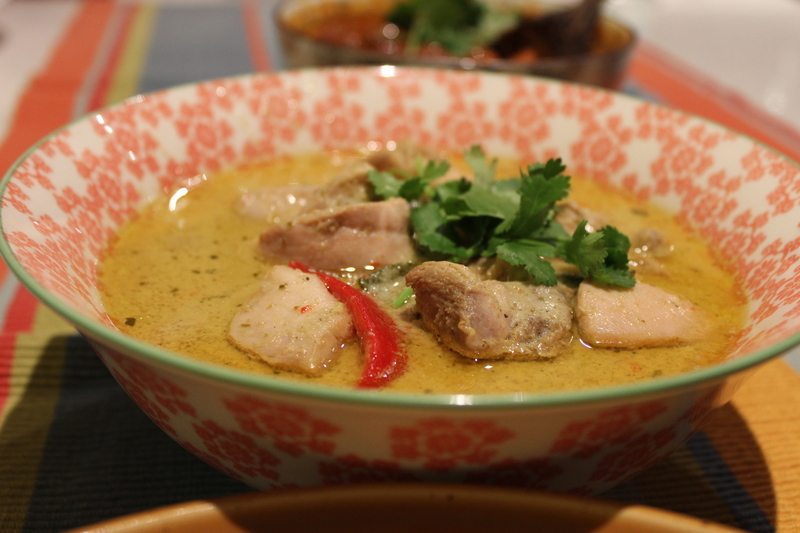 My family love curry, especially Thai green curry. 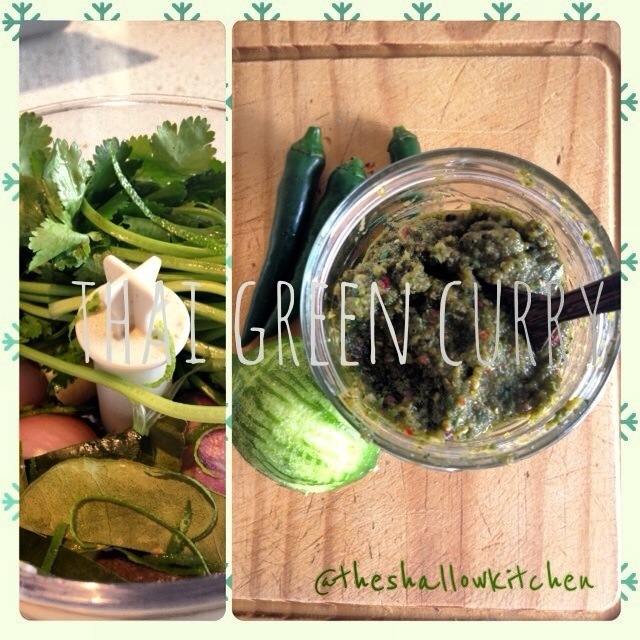 This dish is easy to make and the green curry paste can be refrigerated and use several times. For vegetarian version, just omit the chicken and add more vegetable i.e. ; eggplant, zucchini, beansprout etc. Put the green paste in a glass jar top it with olive oil. Keep it refrigerate. Marinate the chicken with a bit of salt, pepper, and lime/lemon juice and 1 tspn of green curry paste for 15 minutes or so. Heat oil in a saucepan and add 2 tablespoon of coconut milk and green curry paste. Stir until fragrant. Add the chicken, cook until the chicken is brown. Add the rest of the coconut milk, eggplant, capsicum, lemon juice and let it cook until the chicken is tender. Stirring occasionally. You can add salt and pepper to taste and 2 tspn raw sugar. Let it simmer for 15 minutes. Serve with steamed jasmine rice and garnish with coriander leaves. Source: Inked In Color and I modified here and there to make it more to my family liking. Posted on September 30, 2013 by ohdearria. This entry was posted in chicken, curry. Bookmark the permalink.